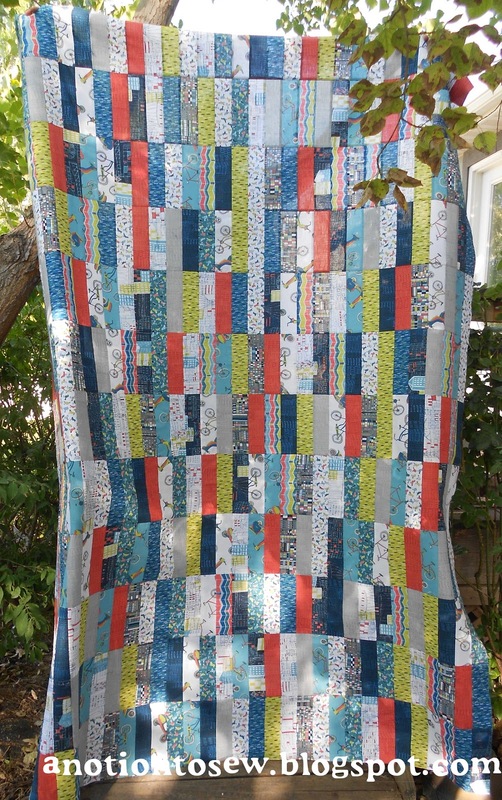 Using this blog post, I stitched up a quilt top for grandson #1. The fabric line is VeloCity by Jessica Hogarth for P & B Textiles. There is a close-up of all those great prints in one of my previous posts. Now I'm waiting for the Simplicity pattern sale to begin at Hancock Fabrics on Thursday so I can purchase a pattern for a jacket that I'm really excited to get started sewing. I plan to have my new fall jacket completed next week some time (even though it is still in the 90's here). That's as far as I've gotten on my fall sewing plans so far. Do you have fall/winter sewing plans already, or are you like me, and you procrastinate until the new season is upon us?